On the fifty-seventh anniversary of his birth, I'd like to write about Arthur Jarvinen's longest piece of music. Possibly anyone's longest piece of non-repetitive music. It lasts one day. The score takes up 301 pages. The piece is entitled Serious Immobilities. It is a huge set of variations. It has different layers. It has different versions. A piece this large requires two separate posts. Find the second one here. "In order to play the theme 840 times in succession, it would be advisable to prepare oneself beforehand, and in the deepest silence, by serious immobilities." Vexations was resurrected from obscurity and elevated to high art by composer John Cage. It is now widely known. Satie's instruction is interpreted to mean that the music must be repeated exactly 840 times in order to finish one entire live performance. Late in 1996 the Paris New Music Review sponsored a competition for piano solos of no more than one minute in duration. I responded with a variation on the longest piano piece I could think of - Vexations, by Erik Satie. ... No sooner had I written my first variation than I realized the implication; I had to write 839 more. Besides a piano and pianists, Serious Immobilities requires other equipment on occastion: an old-fashioned metronome (associated with references to composer Randy Hostetler, found in variations 33, 388, 453 and 808), a typewriter (as a rhythm instrument in variations 192, 229, 612 and 649) and a small portable cassette tape recorder (for the playback of parenthetical text in variations 686 and 704). A number of variations have text which are spoken or sung by the performer. Many texts were written by Erik Satie and others by Andrea Loselle, a professor of French, and by Arthur himself. Variation 816 is entitled "A Mason Hymn" with text by H. Adamson (Perth, 1638), whoever that is. Art tells us that these texts undergo variation much as the music does. For variations employing my own texts I decided to treat the sentences as "language objects" for manipulation. I tried to find the exact opposite of each individual word, and if that was too difficult, the smallest possible group of words. This accounts for the somewhat bizarre, though still completely sensible, aspect of some of the later texts. This variation is to be "played" silently. Finger the notes, but do not depress the keys. Variation 1, that one he wrote for the one-minute music competition, is entitled Hexations. It consists of a very slow variation of Satie's music (the tempo marking is quarter equals 13) plus a Composer's Note to be read simultaneously by the performer. Variation 840, the final one, entitled Transvexions, has tempo indication of quarter note equals approximately six and one half beats per minute. Art adds "Way Damn Slow!" to drive home the point. I have thought a lot about the subject of the lengths of musical pieces, long ones in particular. The late works of Feldman, for example, seem to me to be arbitrarily long. As much as I admire and enjoy them, I remain unconvinced of any real reason for their extreme lengths, beyond the composer's desire to make them long. To specify that a work for solo piano be no more than one minute in length seems equally arbitrary, especially since it can be as short as one second and still qualify. In approaching this project I decided to base my work on the longest solo piano piece I could think of, Vexations by Erik Satie. This is the quintessential arbitrarily long piece, requiring 840 literal repetitions of the basic material. Vexations is composed entirely of three-note chords. I have retained the original rhythms, but combined adjacent sonorities into hexachords, thus Hexations. I also eliminated the repeats. Variation 420 (one of those in Art's palindromic structure which corresponds to Hexations) is entitled Hexplanation. In it he reveals more about the Paris New Music Review competition. The competition judges chose fifty winning works. Hexations was not among them. In an article like this it's tempting to discuss only the variations which stand out, to emphasise those that grab our attention with theatricality or other means. It is important to remember that those moments which use text or sound effects or musical style references are really a small minority of Art's 840 variations. The overwhelming majority of Serious Immobilities is music clearly in the spirit of its source material - simple, slow, spacey piano music. Static music that is somehow always moving. Variation after variation washes over us one after another - like waves, each one is slightly different, some are very different, but most are the same as the last, the same as the next. Art takes the puzzling Vexations harmonies as a starting point for his own concerns as a composer. He deals with pitch, tonality, consonance, dissonance, tension and release. His compositional "games" - that's a word he himself would use - are at work throughout Serious Immobilities. Although these processes are hard to unravel afterwards, through them we sense Art's own spirit. Finally, after a while, it starts to dawn on us that hearing this music could be compared to the mythical act of nailing jello to a wall. Under the assault of analysis, it will always morph in messy, unpredictable ways. A work of this scope naturally avoids easy description. By combining Satie with Jarvinen this effect increases exponentially. Its very elusiveness is the attraction. Serious Immobilities is never going to explain the conundrum which is Vexations. I suspect Art may never have expected such an outcome. I wonder if he himself claimed to understand the Satie better once he had finished. What Serious Immobilities does is to take up residence inside the sound world of Vexations. From there it takes its own sweet time to explore the strange Vexations countryside. We can hear many unusual musical "sights" filled with exotic audio "flora" and unconventional acoustic "fauna". Arthur Jarvinen has shown us this landscape where Satie's vision is mixed with his own. Knowing the sources, it should come as no surprise that the final result is just as puzzling as the original. Whereas Vexations made us scratch our heads, Serious Immobilities also makes us scratch our heads. 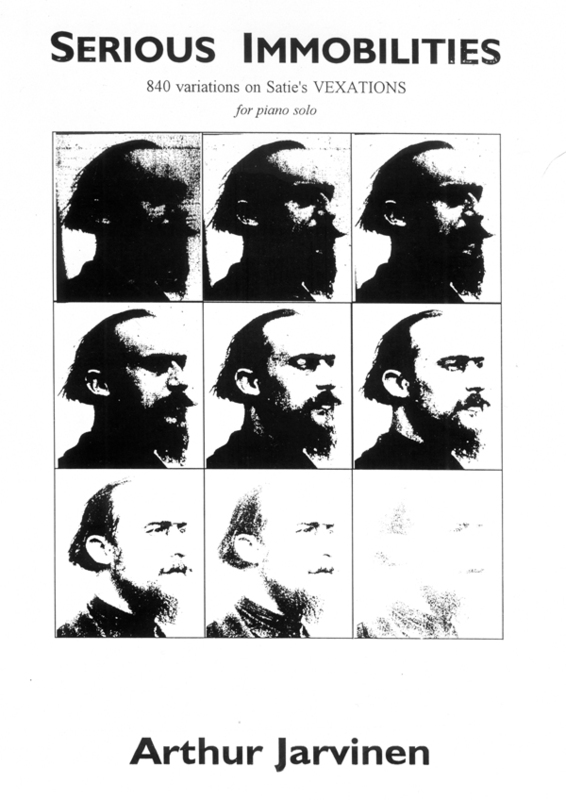 Jarvinen may give us a more animated and colorized experience than Satie but we are none the wiser because of it. I'm pretty certain that was never the point. Mixed Meters could not have produced these posts without the help of Lynn Angebranndt. She gave me permission to post excerpts of the piece. Thanks, Lynn. Also major thanks to Daniel Rothman of Los Angeles River Records. Visit Arthur Jarvinen's own website. His music is available from the Leisure Planet. Another epic Jarvinen work (very different than this one) is The Invisible Guy. 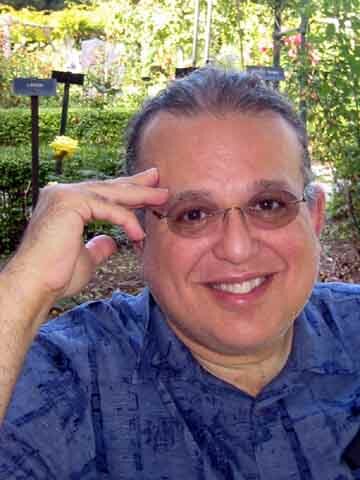 Mixed Meters wants to do what I can to celebrate the life and work of Arthur Jarvinen. Here are all MM's Jarvinen posts. This is the second of two blog posts on Arthur Jarvinen's gigantic solo piano masterpiece Serious Immobilities. You might want to read the first one first. In this segment I'll document as much as possible the performances and recording of Serious Immobilities. There are audio samples ahead. And later on there'll be a special offer for Mixed Meters readers who want to purchase the Los Angeles River Records compact disc. So read on. The composer added a bit more information privately: "It was sort of a guided improv, using a keyboard set up with samples on certain notes, and elec. fx." 2) Spineless Dog - variations on Satie's Vexations, for MIDI keyboard controller, MacIntosh computer, and electronics, by Randall Woolf. In the previous post we learned that the first 210 variations can be performed for six hours by a single pianist under the title Serious Immobilities, Part One. Later in this post we'll learn about Serious Immobilities, Petit. There's a level of confusion about the title Serious Immobilities. Satie, I expect, would have been proud. The piano score to Serious Immobilities also details a performance history of the work. While still a work in progress, Serious Immobilities was performed on March 22, 1997, at the Sidwell Friends School in Washington D.C. This concert was a memorial for composer Randy Hostetler, a close friend of Art's, who died at an insanely young age. Four variations in Serious Immobilities are labeled "for Randy". All of them involve the use (or misuse) of an old wind-up metronone. This performance could be considered a preview, but not an official premiere, since the staging was not as intended. The piano and electronic keyboard were adjacent [to] one another in a single small room, besides which there was other music happening all around. Finally, on June 4 and 5, 1998, from 5 p.m. to 5 p.m., Serious Immobilities was officially premiered by nine pianists in Los Angeles CA. It was part of a festival called Resistance Fluctuations, with the two layers of Serious Immobilities properly positioned in separate but adjacent galleries. It was a different story down the street at neighboring galleries. At 5 p.m. in Works on Paper Inc., Arthur Jarvinen unleashed "Serious Immobilities," a 24-hour piece in which a relay team of pianists play Jarvinen's 840 variations on a one-page score by Erik Satie, "Vexations." A hundred years ago, Satie had written the instruction on his piece that it be repeated 840 times, but no one took him seriously until John Cage arranged a marathon performance of it in 1963, and it became the avant-garde rage. Next door, at Dan Bernier Gallery, was Randall Woolf's companion piece, "Spineless Dog." Along with piped-in Jarvinen, a relay team of pianists performs a more conceptual work on an electric keyboard, set up with all kinds of unpredictable samples, taking Satie very far afield. Well, there's not much actual music criticism there. Mostly just reportage. There's another version of Serious Immobilities: entitled Serious Immobilities, Petit, whch (by no coincidence at all) is exactly the length of one compact disc, 77'42" to be exact.) It was recorded on Los Angeles River Records by the fine pianist Bryan Pezzone. He also took part in the Los Angeles premier. The album was released in 2003. 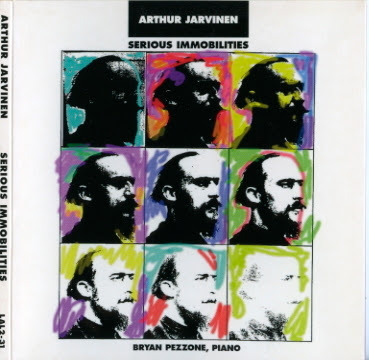 The complete version of Serious Immobilities, for piano solo, consists of 840 variations on Erik Satie's Vexations and takes twenty-four hours to play. For practical reasons, and because the music easily lends itself to such treatment, I have published shorter alternative versions of the piece. Serious Immobilities, Petit is a recital-length version (ca. 78 min.). It was recently recorded by Bryan Pezzone on a beautiful Fazioli 9' concert grand, in Zipper Hall at the Colburn School of the Performing Arts in Los Angeles. The recording was funded by a grant from the Los Angeles chapter of the American Composers Forum and will soon be released by Los Angeles River Records. Ennui In the Martini Lounge is the title I have recently appended to one variation from Serious Immobilities which occurs in all of the various versions. Deliberately evocative of cocktail lounge jazz, it is one of the few "stylistic variations" in the piece. Astute listeners will notice that Satie's original chords are there, but with notes added so as to give them a jazzy flavor, and his "theme of the bass" still occupies the left hand, but dressed up. Of course, all the rhythms have been changed, and extra ornamental flourishes added. But I must confess I was actually a bit surprised at how little it took to turn Vexations into a cheesy lounge piece. Maybe this has something to do with the fact that Satie was himself a cabaret musician; bar music was always a part of his oeuvre. In any case, I like to think he would find this particular take on Vexations amusing. Ennui In the Martini Lounge can be heard online. I was extremely honored that Art chose me to to record his CD of this, which was an hour long. He selected the material from his 24 hour version. Art was so cool at the recording. We did it at Zipper Hall in one take. It was a magical experience that I will never forget. Here's a link describing the first concert performance of Serious Immobilities, Petit by pianist Judith Gordon in Santa Fe, New Mexico, April 10, 2004 on the Santa Fe New Music series. You can buy the album! you may give losanagelesriver[at]aol.com for direct sales — with a mixed meters reference I'll sell them at 10/CD plus S+H. In other words, write to him at that address (substituting @ as appropriate) and mention Mixed Meters. He'll tell you how much "S+H" is. Send him that amount plus $10. Tell him your address. He'll send you the recording of Serious Immobilities by Arthur Jarvinen. Daniel has allowed me to extract an excerpt of the recording and post it here. I tried to limit myself to just a few minutes of music. My choice hinged on finding a passage that conveyed both the variety of the music and the sheer repetitiveness of it. If you remember the text of the first variation in Serious Immobilities (which I included in the first post) and if you remember Art's description of manipulating "language objects" (also in that post), then you might be curious about the final variation, number 840, entitled Transvexions, the one with tempo of quarter equals 6.5. Here's that text which the pianist reads while playing "Way Damn Slow!" You aren't likely to do much that's predicated on the depth of a literary fragment, and such a short one at that. With your total lack of respect for it, and the extent to which you despise it, you were always certain there was ample justification for its moderate brevity, the audiences' not wanting to keep it short notwithstanding. Denying the possibility of any motif occupying a full twenty-four hours is of course absolutely necessary, although falling even one second short would disqualify it anyway. As you leave this performance perhaps you can't make up your mind whether or not to plagiarize several rather short works for mixed ensembles, none of which you can actually recall, such as any of those by this composer. None of them are merely crude approximations of necessarily short motifs, with even one unique, fully-realized idea strictly prohibited. Serious Immobilities is not deconstructed only from rests and single notes. You obliterated any new sense of timelessness with widely separated silences; so why Vexations? And you didn't introduce even one unique event. In June 2015 Serious Immobilities was performed in New York City. Here's MM's promo to that performance Five Reasons Why Serious Immobilities Is Being Performed In New York Soon. The Internet provides me with lots of reading material; some of it is fascinating. Recently I've come across four absorbing articles with a common subject matter - the American system of slavery. These have all provided interesting viewpoints, new information or intriguing analysis. At least to me. You should be warned that Mixed Meters does not have a fact checking department. Like so much of life, you are free to form your own beliefs. These articles are good examples of why the past is never really past. There is much relevance here to contemporary issues. And we often need to be reminded that the explanations we are taught about why things happened are usually oversimplifications and possibly just plain wrong. The Second Amendment was Ratified to Preserve Slavery by Thom Hartmann at TruthOut. These days the phrase "well regulated militia" is an excuse for the NRA to turn our country into an armed camp. But back when they were agreeing to the Bill of Rights, one of the reasons for guaranteed gun ownership was the need for state militias to keep the slaves enslaved. And the South didn't trust the Federal government to do that chore for them. 10 Things You Need to Know About Slavery (That You Won't Learn from Django Unchained) by Imara Jones originally from Colorlines; I found it on AlterNet. Slavery was a source of skilled labor? The American Revolution was intended to preserve the slave economy? Southern anti-tax attitudes started as a way to maintain slavery? Wall Street firms made fortunes from slavery? Who knew? The South's Shocking Hidden History: Thousands of Blacks Forced Into Slavery Until WW2 by Douglas A. Blackmon in The Washington Monthly (again, I found this via AlterNet). A system of virtual slavery lasted nearly a century after the Civil War. The rehabilitated Southern states passed laws that could turn any Black person into a criminal who could be "leased" to plantation owners. Once released, he could still be forced to work, couldn't freely change jobs and probably owed his soul to the company store. How presidential elections are impacted by a 100 million year old coastline by Dr. Craig McClain from The Deep Sea News. In short, ancient geology gave rise to the best farmland in the South, the so-called Black Belt, where the largest plantations had the most slaves. These areas now have high populations of Black people who are reliable Democratic voters. As a result there is an electoral Blue Belt inside certain Red States. I recommend AlterNet as a good source of liberal, progressive information and opinion. I thank Leslie Harris and Jim Angus for alerting me to the other articles. Here's an article about a Southern Republican who defended slavery - during the 2012 elections. For the most part news is not a spectator sport. Only small groups of people directly witness major events. The rest of us must trust the media to find out what happened. As time passes, people begin to agree that certain events were important. They observe the anniversaries, honor the heroes, slander the villains. Stories are told, songs sung. Books are written, movies made. Lessons are learned, courses organized. Eventually experts arise. Starting with petty disagreements these experts argue with one another. They form factions, wage verbal battles, assert opposite interpretations. They go to court. Their interpretations morph into articles of faith. And then even more time passes. The important event is eclipsed by other important events. Direct witnesses die off, as do the rest of us. Generations disappear. The event loses relevance and becomes a dusty academic topic. Professors vainly try to explain to bored students what actually happened and how anyone could have thought it was so special in the first place. This process is called History. I recently finished reading a book, the story of a direct witness to important events of history. These particular events were monstrously inhuman, the systematic genocide of millions of people. 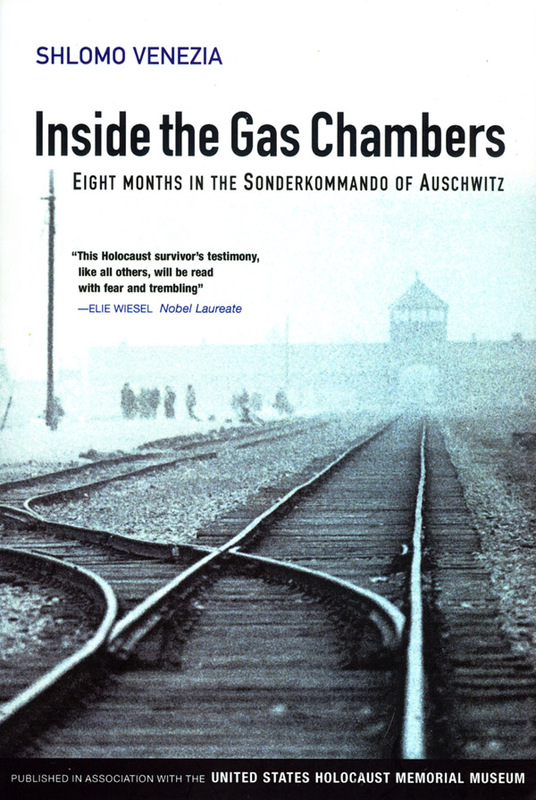 Inside the Gas Chambers, Eight Months in the Sonderkommando of Auschwitz is an essential read because it is told by a direct witnesses to the Holocaust, one of the few who was made to work inside the Nazi crematoria and survived the war. This book deserves our attention because, these days, there are certain people (let's call them "experts") who deny that such events ever happened in the first place. Shlomo Venezia was a Sephardic Jew living in Greece. In 1944 the Nazis deported him to a concentration camp where they systematically murdered in the gas chambers anyone who couldn't work. Venezia was selected for a special unit, the Sonderkommando, whose job it was to move the dead bodies and burn the corpses. The book takes the form of an interview, with Venezia responding at length to short questions. His is not an overview of the huge ideology-driven Nazi murder enterprise. This is not a grand history. Instead Venezia tells his own tale very simply. He was one of many mice caught in a large trap. (Question:) What did you see of the gas chamber when you arrived? I wasn't one of those who had to take the corpses out of the gas chamber, but later on I frequently had to do it. Those given this task started by pulling the corpses out with their hands, but in a few minutes their hands were dirty and slippery. In order to avoid touching the bodies directly, they tried using a bit of cloth, but, of course, the cloth in turn became dirty and damp after a few moments. So people had to make do. Some tried to drag the bodies along with a belt, but this actually made the work even harder, since they had to keep tying and untying the belt. Finally, the simplest thing was to use a walking stick under the nape of the neck to pull the bodies along. You can see it very clearly in one of David Olère's drawings. There was no shortage of walking sticks, because of all the elderly people who were put to death. At least this meant we didn't have to drag the corpses with our hands. And this was hugely important for us. Not because it was a matter of corpses, though that was bad enough. . . . It was because their death had been anything but gentle. It was a foul, filthy death, difficult and experienced differently by each of them. I've never talked about this until now; it's such a weight, it's so heartrending, that I find it difficult to speak of those visions of the gas chamber. You could find people whose eyes hung out of their sockets because of the struggles the organism had undergone. Others were bleeding from everywhere, or were soiled by their own excrement, or that of other people. Because of the effect that their fear and the gas had on them, the victims often evacuated everything they had in their bodies. Some bodies were all red, others very pale, as everyone reacted differently. But they had all suffered in death. People often imagine that the gas was thrown in, and there you were, the victims died. But what death it was! . . . You found them gripping each other - everyone had desperately sought a little air. The gas was thrown onto the floor and gave off acid from underneath, so everyone tried to find some air even if each one needed to climb on top of another until the last one died. I personally think - I can't be sure but I think - that several people died even before the gas was thrown in. They were crammed in so tightly against one another that the smallest and weakest were inevitably suffocated. At a certain moment, under that pressure, that anguish, you become selfish and there's only one thing you can think of: how to save yourself. That was the effect the gas had. The sight that lay before us when we opened the door was terrible; nobody can even imagine what it was like. Shlomo Venezia was an eye witness to history. In the many decades between the events and the interview I expect he forgot some small details. I would also expect that his overall story is true, corroborated as it is by so many other sources. However, there are doubters. These are the "Holocaust Deniers", people who argue that no one died in the Nazi gas chambers. I didn't have to scour the Internet very long to unearth Bishop Richard Williamson as a good example. Williamson is a piece of work who spreads notions of hate and conspiracy with an aura of calm logical discourse.. 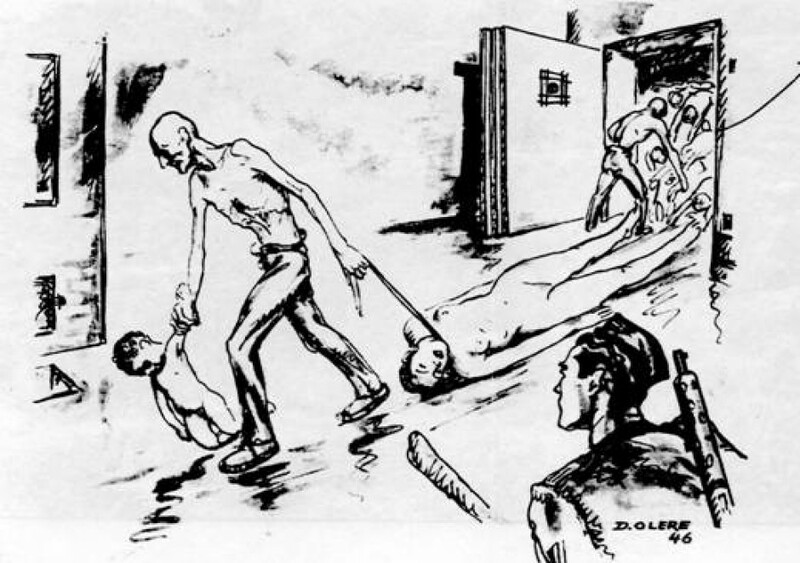 The Bishop believes that no one died in Nazi gas chambers. He believes that they never existed. As you listen to him talk, notice his emphasis on his own belief. He has made this issue not about what actually happened but about what and who he believes. Religion does that to a guy, I guess. He supports his beliefs with logical-sounding explanations given by experts. In the video below he argues that poison gas had to be vented by tall chimneys, but wartime reconnaissance photos show no chimney shadows, so therefore - his experts have concluded and he agrees - there could have been no gas chambers. This sort of argument, where a small inconsistency is used to undermine a large body of fact, seems very common in denial literature. This small bit of feeble expertise is enough support for Williamson's beliefs. He doesn't need much support from facts or logic. I'm sure he'd find some contradiction in historical memoirs like Shlomo Venezia's. What this cleric is telling us are his beliefs. In his mind what he believes is more than sufficiently supported by his fundamentalist religious faith and his amply evident anti-Semitism. I'm not here to debate the details of the Holocaust with people like the Bish. If you're a friend of his don't bother to leave comments. I won't publish them. As time passes, each succeeding generation will have more difficulty distinguishing the facts of the Holocaust from the dogma and obfuscations of the deniers. The lessons of Nazi inhumanity might fade and the resolve to Never Forget could be slowly lost if the Bishop gets his way. Such a loss will pave the way for history to repeat itself. How slowly the loss happens depends on how well the deniers are countered right now. Having confronted the story, we would much prefer to disbelieve, treating it as the product of a diseased mind, perhaps. And there are those today who - feeding on that wish, and on the anti-Semitism that lurks near the surface of the lives of even cultured people - are trying to persuade the world that the story is not true, urging us to treat it as the product of diseased minds, indeed. They are committing the greatest indignity human beings can inflict on one another: telling people who have suffered excruciating pain and loss that their pain and loss were illusions. Perhaps there is is a greater indignity, it is committed by those who believe them. 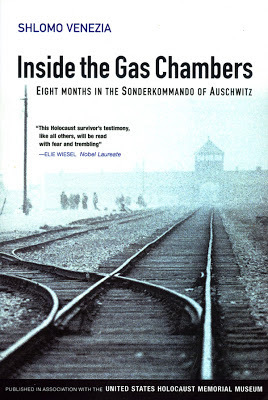 Reading books like Inside The Gas Chambers and other first hand accounts of the Holocaust are good ways to fight the ignorance and hatred of people like Richard Williamson and anyone who might believe him. Bishop Williamson was excommunicated from the Catholic church in 1988 on a technicality. Then the Vatican rehabilitated him in 2009. Later the Pope asked him to recant his views on the Holocaust. Williamson apologized but didn't admit he was wrong. Pope Benedict said he should have done an Internet check on Williamson before rehabilitating him. To its credit, the Catholic church has largely disapproved of Williamson's views. Here in Los Angeles former Cardinal Mahony banned Williamson from all local Catholic institutions because of his views on the Holocaust. Read other news stories of Bishop Williamson here. He was fined by Germany for denying the Holocaust. Most everything Williamson says in this video about the gas chambers is wrong. The expert he cites is Fred Leuchter. The discredited Leuchter was the subject of an excellent movie documentary Mr. Death: The Rise and Fall of Fred A. Leuchter, Jr. by Errol Morris. Williamson's manner and British accent reminded me of Alan Watts, a wise Episcopal priest who spread notions of Eastern religion to Americans during the fifties and sixties. The comparison ends there. Watts' lectures are still very relevant to modern life. Death is the subject of What Is It Like To Be Dead, one of Mixed Meters' most popular posts.